Last year's The Maze Runner and this year's follow-up The Maze Runner: The Scorch Trials weren't massive hits at the box office, like other young adult franchises such as The Hunger Games, but they did fare quite well. The Maze Runner took in $348.3 million worldwide from a $34 million budget, while The Maze Runner: The Scorch Trials has taken in $311.5 million during its box office run so far, from a $61 million budget. 20th Century Fox has set a February 17, 2017 release date for the final adaptation in James Dashner's literary trilogy, The Maze Runner: The Death Cure, but that may not be the last we've seen from this unique world. James Dashner has also written two prequel novels, entitled The Kill Order and The Fever Code. The Kill Order, which was published in 2012, takes places before The Maze Runner, chronicling characters dealing with a mysterious disease spreads throughout the globe. The Fever Code, which will be published next year, intersects with the first novel and movie, showing how Thomas (Dylan O'Brien) and his fellow Gladers are first put into the maze. 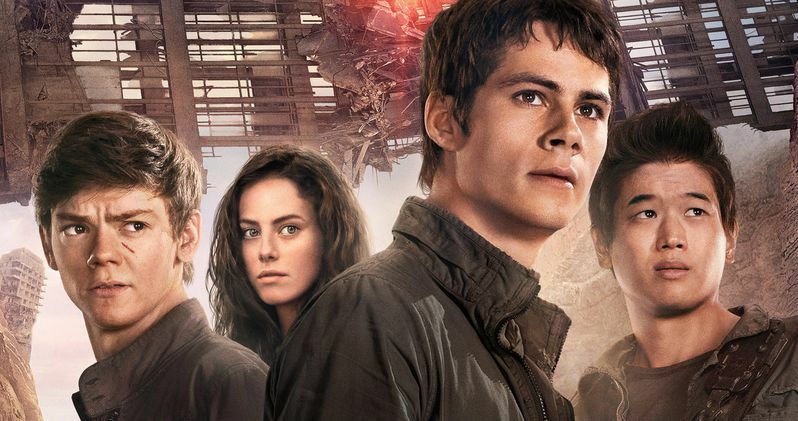 During a new interview with Screen Rant, James Dashner revealed he would love nothing more than for his prequel books to be adapted for the big screen. "That's an easy one to answer because I certainly hope so. It's probably out of my hands, but I would give anything for that to happen because it would be a lot of fun and it would be fun to see some of these actors return to the world. But we'll see what Fox has in store for this series and this world. So, we'll have to wait and see." The fate of these prequels will likely rest on how The Maze Runner: The Death Cure performs at the box office in February 2017, so it may be quite some time before we hear anything official about these movies. With that being said, 20th Century Fox won't be the first studio to develop prequels to continue a popular franchise. Warner Bros. is releasing the Harry Potter prequel Fantastic Beasts and Where to Find Them next year, set 70 years before Harry and his magical friends enter Hogwarts, and Lionsgate is considering moving forward on The Hunger Games prequels. It hasn't been confirmed if Wes Ball will come back to direct The Maze Runner: The Death Cure, after taking the helm on both The Maze Runner and The Maze Runner: The Scorch Trials. This franchise is one of the few young adult properties that went against the trend of splitting the final book into two movies, but we'll have to wait and see how that affects its box office performance. Would you like to see The Maze Runner prequels coming to a theater near you in the near future?